There was once a rich merchant who had six children: three sons and three daughters. His youngest daughter Bell was called ‘Beauty’. The two eldest daughters went out to parties every night. They laughed at Beauty when she stayed at home to read books. A retelling of ‘Beauty and the Beast’ for younger readers, with full page whimsical illustrations on every opening. Text is large and language accessible. Young readers will enjoy this gentle telling of the classic fairy tale, ‘Beauty and the Beast’. Brief enough to be read in a single bedtime session, the text is also accessible to independent readers. Part of a new series from New Frontier, this version of an old favourite is sure to find favour with lovers of fairy tales. Martin was the runt of the family. He lived with his father, a might forester, and his two older brothers on the edge of the Megalong Valley, in the heart of the Blue Mountains. Martin’s father was a huge man and his brothers tall as forest gums; their faces handsome as granite sculptures, their muscled limbs a wonder to behold. Since his mother left them, tiny Martin had felt the daily sting of his family’s ridicule. Martin struggles in his family after his mother leaves. He cannot compare with the size and strength of his brothers, and he has no answer to their taunts. He wanders into the forest. Eventually, he finds another family. Here, by fitting in, he can grow strong. Time passes and he prospers. One day he witnesses his father’s pain and remorse and must make a decision about forgiveness. Text is set in text boxes and illustrations are black and white with soft tinting. They are slightly surreal. The Cuckoo is a modern parable, full of evil, abandonment and ultimately hope. Text is extensive and the entire design is that of a fairytale. Illustrations are sombre almost forbidding, in keeping with a text filled with the struggle to survive both physically and emotionally. They invite close attention, and offer up the secrets of the dark forest. Martin has to adapt to survive, and offers courage to readers who find themselves in situations not of their making. Bullying, survival, remorse and forgiveness are all explored here. 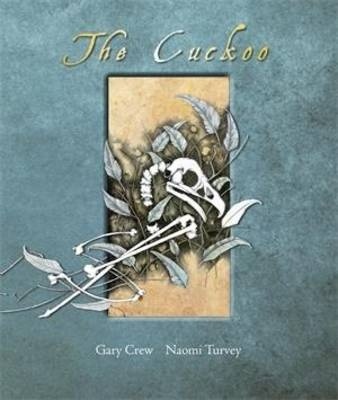 The Cuckoo offers rich material for classroom discussion. This is a beautifully designed package, complete with dust jacket. From the intriguing cover image to the final word, there is much to ponder. Recommended for older readers, from mid-primary upwards.